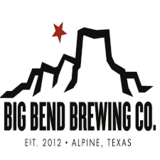 Our Big Bend Hef embodies the openness and unique character of a region that’s all its own. West Texas is the secret ingredient—take a swallow and put yourself in the heart of it. The spirit of West Texas, now in a can.